Home » Development » What Do Host City Residents Think about the Olympics? What Do Host City Residents Think about the Olympics? Among the most common questions asked about the Olympics by scholars and the public alike is: “Why do cities want to host the Olympics anyway?” Our recent research shifts the question from the rationales proposed by elites to how local residents encounter the Games through its various stages from bidding to post-Games perceptions. Such a perspective is particularly important given the pressure that has emerged from local residents in recent years in bid cities that has frequently scuttled Olympic aspirations. 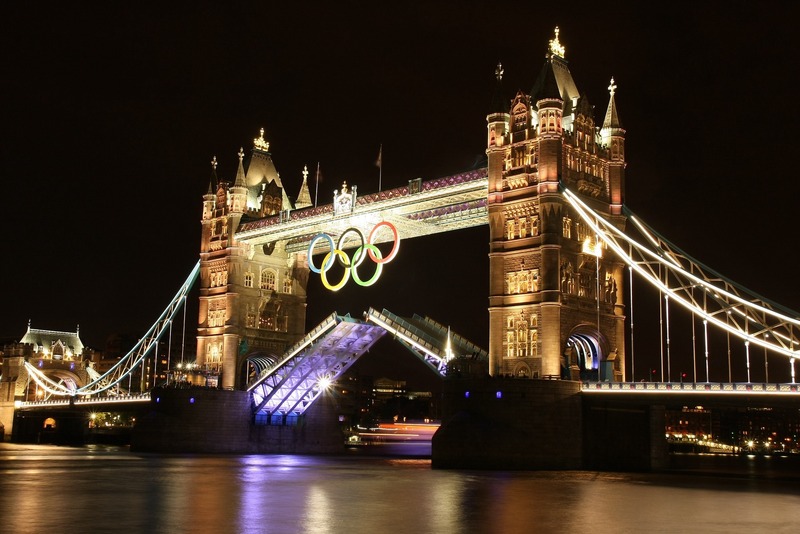 Cities often view the hosting of mega-events such as the Olympics as landmark events in their history, often because of the lasting architectural contributions to the urban environment. When the right to host these events has been won in a global competition with other cities, hosting the event carries with it an honorific status that supposedly justifies massive expenditures and the rearrangement of urban priorities. But that perspective has increasingly come into question as the requirements for hosting such events have long-term negative consequences whether these be indebtedness, environmental degradation, displacement of marginal peoples, or structures with little purpose after the event. One way to understand the relationship between cities and the Olympics as arguably the most powerful contemporary mega-event is to focus on the global impact of the event in a world of urban competitiveness. As an international competition structured by international sport federations comprising elite high performance athletes and with an astounding global media reach, the Olympics provides a unique platform for external urban representation. This argument, which is often central to event advocate elites, has been under fire because reputational benefits carry little weight in local communities. Consequently, in recent years, notions of legacy and sustainability have become prominent as a way of asserting that the event must have long-term benefits that accrue to the local population. Recognizing that hosting the Olympics has become increasingly controversial in potential host cities, the International Olympic Committee took action, such as adding the environment as one of the pillars of Olympism in the 1990’s and proposed reforms in Agenda 2020 to make hosting the Olympics more palatable to hosting cities. It is usually argued that the intriguing question is, why do cities want to host the Olympics in the first instance and how can we understand the benefits or costs of doing so? We propose that the more grounded question pertains to the residents of the city itself. The city is usually represented in these discussions by urban elites who become advocates for hosting the Games and carry the bid and the Game plans both to external audiences as well as to local residents. The idea of hosting the Games originates with these elites, who then attempt to persuade both groups of the value of the event. This means that the messages of the Games are managed by these elites not only in the bid phase but also in the preparatory period, during the Games themselves, as well as in the post-Olympic reports that attest to the glory and accomplishments of the Games. What has received much less attention is how local residents encounter the Games through its various stages, which is the thrust of our paper. Given the fact that hosting the Olympics is an idea that begins with elites, the support of local residents has always been included in the bid phase. Bid documents required by the IOC have always included the results of public opinion surveys. The results of these surveys are analyzed and we show that the lack of standard questions and sampling methods is one problem, but what is even of greater importance is that the results of these surveys have little bearing or carry little weight in IOC decisions. What has become more significant in recent years is the informal pressure from local residents in the bid phase to cancel bids already prepared (e.g. Munich, Oslo, Boston, Hamburg). However, once a bid has been accepted by the IOC, there is often much controversy over specific Games plans, but only one city has ever rejected the Games at this stage (Denver 1972). Games organizers often experience informal public pressures and conflict in the preparation period emerging from local issues in which apprehension and cynicism prevail but not to the point of de-railing the preparation process. Our research moves the discussion about public opinion among local residents into two new phases: what actually occurs during the Games themselves, and how the Games are perceived long after they are over. Using data collected in Vancouver and London at several intervals during the Games themselves, it is shown that apprehensions and criticisms that existed as the Games began were considerably ameliorated. This shift in public opinion is attributed to the emotional impact of the Games as an urban spectacle, but particularly through participation in the spirit of the Games as an urban festival in the city itself rather than just through having tickets to Olympic events. Data collected one year after the Games were over and four years after the Games were over in the same cities revealed that concerns residents had before the Games, such as traffic congestion, protests, security (particularly London) or other urban priorities, were over-drawn in retrospect but concerns about debt and costs were of continuing concern. It is important to understand that the urban politics of hosting the Olympics emerges from the fact that the decision to host the Games is a policy option for which there is likely to be considerable disagreement. What is of further significance is that if the Games proceed relatively uneventfully with an active, inclusive festival atmosphere that draws local people into participation in various ways, it is likely to produce positive memories that local residents retain primarily because the pre-Games controversies are lost from public debate. Dr. Harry H. Hiller is Faculty Professor of Sociology at the University of Calgary. He is a macro sociologist and an urban sociologist. Richard Wanner is Professor Emeritus of Sociology at the University of Calgary.